Great news for Glee star Chris Colfer: It looks like after Glee ends once and for all in 2015, he'll do just fine. According to The Hollywood Reporter, Chris Colfer has just inked a huge three-book deal with Little, Brown to continue his popular children's book series Land of Stories, as well as to release a picture book for younger kids. "The Land of Stories has been an incredible journey for me as a writer," Colfer said in a statement about the deal. "The fan support and love for these characters has been more than a dream come true -- I'm humbled and excited to be able to share these new adventures with my readers." The Land of Stories series began in July 2012 with the first book, The Wishing Spell, and quickly made it up to number one on the New York Times bestseller list. The second book, The Enchantress Returns, was released in Aug. 2013, to strong reviews and, once again, the NY Times bestseller list. 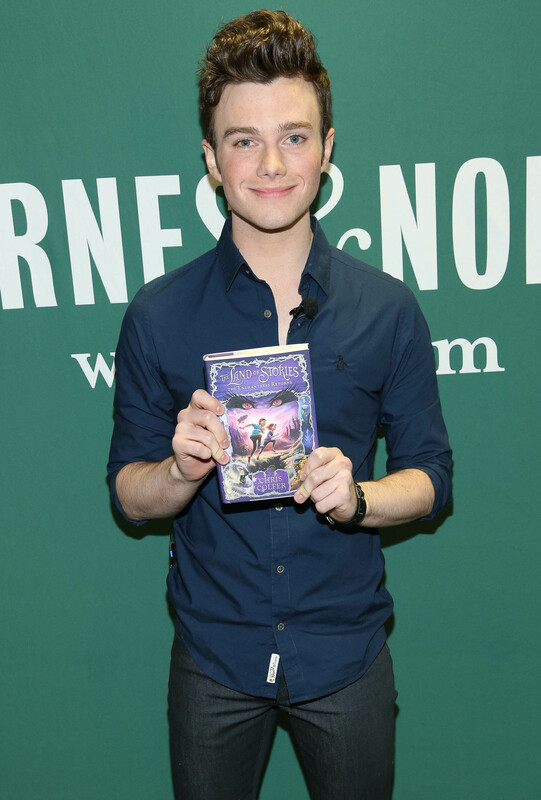 Under this new deal, Colfer will be penning the third and fourth books in the series, which are scheduled for release in 2014 and 2015. As for the picture book, that's reportedly titled The Curvy Tree, and is partly based on The Land of Stories: The Wishing Spell. Illustrator Brandon Dorman, who has designed some covers for the Goosebumps series, will contribute the illustrations.